We have been told that there will be remarkably few people visiting the Taj today as it is a holiday. We arrive to find the place deserted. I of course want my photograph taken and look for the perfect spot. I find a little bench to sit on. Somehow smiling doesn’t seem right in this setting, so I go for a contemplative and slightly wistful look. Gordon takes a moment to frame the shot perfectly and takes a photo that I will forever treasure. Now I look at the photo, I think I chose the perfect outfit, but maybe my wistful look could be mistaken for being a little grumpy. So many people have written so eloquently about the beauty of this building that I am not going to attempt to describe it. I will say that rarely does anywhere or anyone live up to the hype that surrounds it. 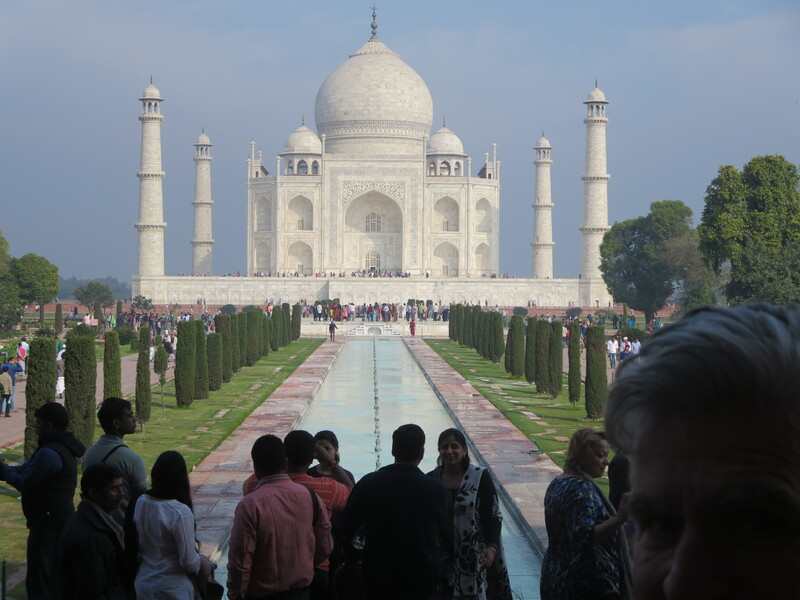 But the Taj not only lives up to it, it exceeds expectations. This entry was posted in India and tagged Agra. Bookmark the permalink. That was supposed to be blood, pretty bold though too. Yes, indeed.. One of the most beautiful place we have ever been. I thougt the skirt could have a bit shorter to show more of your fabulous legs. 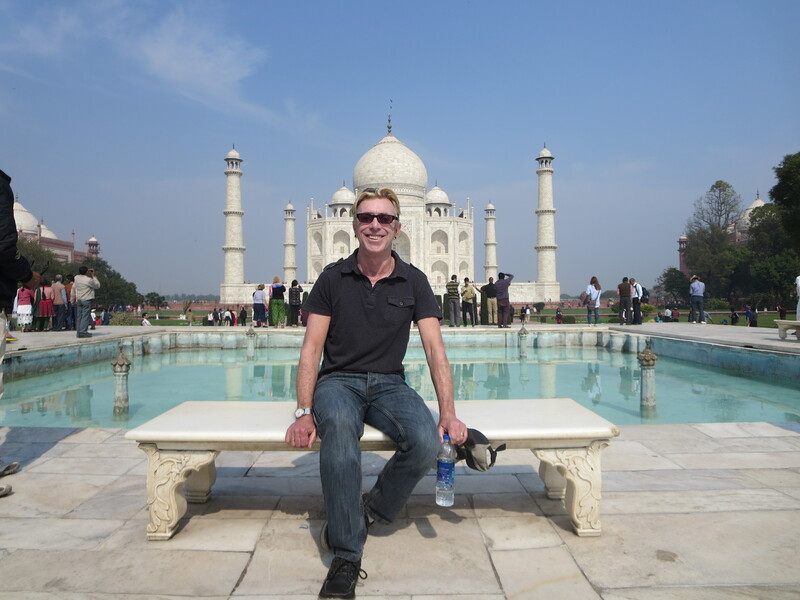 Thanks for the blog, it is so much fun living India thorough your eyes!